The Aussie car buyer is being subjected to the biggest rip off in memory at car dealers’ showrooms if the following pricing chart reflects the truth! It’s impossible to reach any other conclusion based on the figures we’ve gleaned from manufacturers’ web sites around the world. Our survey of retail prices in Australia against cars of similar specification in the US and the UK show that, on average, we are paying at least 20 per cent too much for our new cars, and you can’t just blame the government’s high tax rates! Whilst it is only a sample survey of selected makes and countries our price analysis depicts a very clear and compelling message to the Aussie motorist. On the basis of the current value of the Australian dollar, most retail car prices could be drastically reduced and the manufacturer would still be making the same profits that he makes elsewhere in the world! It’s pretty obvious if you study the chart below. We have selected a sample section of cars right across the price range and compared the selling price in Australia, the USA and the UK. We have endeavoured to choose cars with similar specifications, but, of course, there will still be some differences so you should take the pricing as a guide only. Variations will occur depending on a number of factors including local taxes and delivery costs, but we don’t think that will make more than 5% difference on the prices quoted in most cases. • Adding all the prices together there is a 71% premium that the local buyer pays over his English counterpart. That premium leaps to 121% when compared to the USA. • Even if we take out the expensive cars (which suffer a very high tax premium in Australia) we still see us suffering to the tune of 20% against the UK and 83% against the US. • Economy cars have a closer price link, particularly those made in Asia. In some cases there is almost price parity, so good on you Toyota, Nissan and Mazda! 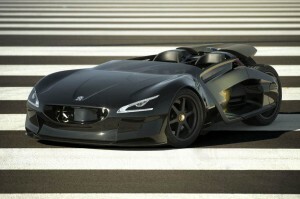 • More expensive cars get much more expensive! This is particularly true of Mercedes and BMW who seem able to charge so much more than their overseas colleagues, and, of course, you can see even clearer evidence of this with the exotic makes like Ferrari and Lamborghini. We’ve applauded Toyota, Nissan and Mazda for close price alignment with their small cars, and we were impressed with Subaru’s pricing of their Forester and Outback models. But now look at their sporty WRX STI. Here we see the poor Aussie car buyer is paying a 31% premium over the UK price and a massive 107% more than if he bought the same car on the USA. Why? Well, we asked Subaru Australia, and even they couldn’t give us an answer. Now turn the spotlight on to Mercedes and its four wheel drive ML300. We pay a huge 47 per cent more than in the UK! You may think that it’s because the car is made in Europe- but it isn’t. It’s made in the USA, both versions are right hand drive with very similar specifications. OK, then, maybe it’s due the luxury car tax of 33%? Wrong again! The luxury car tax for this car doesn’t cut in until the retail price (inc. GST) reaches $73, 375.00 and contributes only (?) $7341.69 towards the final RRP. Deduct this from our calculations and we still see a punishing premium of 35% against the UK and 97% against the USA recommended retail price. So why is this so?? Yes, but that is only partly true. There is a 10 percent import duty and 10% GST in Australia, but the GST in the UK (VAT) is 20% which is virtually the same. Again that is partly true as there is stamp duty on the purchase of a new car, but there are similar taxes (though not always as much) elsewhere. Yes, we agree. In the UK third party insurance is extra, which for basic cover could add $500 to the prices quoted in our comparison chart. The same applies for US vehicles. But if you add $500 to each price you still see a massive premium for Australian buyers. Now there we agree completely! A car dealer in the US deals with many more customers than here. That saves him money. The importer or manufacturer enjoys economies of scale too, but not to the degree reflected in the pricing, otherwise you would not see parity on any of the cars in the table. Again there is some truth in this, but it only makes a difference of less than one percent in the final price – hardly a worthwhile justification. In some instances it also works against the Australian price premium as it costs more to send cars from Asia to Europe. Many imports require little effort to comply, and therefore impose little extra costs. Some do require a lot and are therefore not usually imported. • “It’s a short term aberration due to the strength of the Australian dollar”. Yes, there’s some truth in this, too. We need stable prices, and do not want them to fluctuate daily with the currency market, and, indeed, when the dollar sank in the late nineties importers tried hard, and to their credit, to delay price increases. But the dollar has risen above these low rates and has been sustained as a strong currency for a long time now, so we are well overdue for some benefits from it. None of these reasons amount to much in our view, certainly not enough to justify anything like a 71% premium. 1. Manufacturers and importers will charge the highest price they can expect to get. 2. They have not, in the main, reacted quickly enough to the strong Australian dollar. 3. ‘Perceived luxury’ means bigger margins. 4. The Australian car buyer seems happy to wear it. The internet is already doing favours to the Australian consumer. We are seeing more and more parity pricing, and the willingness of consumers to purchase from overseas. Whilst that is more difficult, if not impossible, to do with new vehicle purchases, it certainly helps in making people aware, and that increases pressure on manufacturers and importers to be more in line with overseas markets. Nobody likes the tag of ‘profiteering’. We think this is a true rip off of the Australian motorist, so we want to make waves! We’ve created a Facebook Group, we are contacting the media and we’re enlisting your support. So let’s hear from you below, and join us on Facebook and help us bring the car makers into line! Remember the more ‘digital signatures’ we can gather below and on our Facebook page, the greater difference we can make! Some 25 years ago an Australian research report found that in countries with right hand drive vehicles there are more cancers and pre-cancerous growths on the right side of a driver. Now researchers at the University Of Washington in Seattle, USA have found that Americans have a tendency to develop the worst forms of skin cancer such as melanomas and merkel cell carcinomas on the left side of their bodies. The Journal of the American Academy of Dermatology also said that there is an especially high incidence of cancers discovered on the upper left arm, which is consistent with left hand drive vehicles. It’s good to see that our American cousins have finally caught up with our thinking! It seems therefore that driving in Summer conditions with the driver’s window open has a big impact on the incidence of skin cancer. 1. Cover up – long sleeve shirts are an obvious answer. 2. Apply sunscreen to arms and exposed areas. 3. Keep the windows shut, as auto glass filters out much of the bad UV that can cause cancer. So drive with the windows up and the aircon on, and, whilst that may not be the fuel efficient or ‘greenie’ solution, it could save your life. 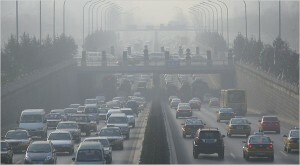 It seems to be one thing that people are thinking about more these days: the air quality and what we’re breathing in. And there’s no getting away from it: cars and other motorised vehicles are the number 1 producers of carbon monoxide, NOx gases, ozone (fine in the upper atmosphere to keep out the UV but not so good down at ground level) and all the rest of it. But have you ever stopped to wonder how much of this stuff you’re breathing in when you’re in your car? After all, when you’re in a car, you’re usually sitting in a queue of traffic, and every single motor vehicle in that traffic (apart from the electric cars) is putting out a lot of air pollution. Unfortunately, it seems to be the conclusion of many studies from around the world that riding in a car (either as passenger or driver) is the second-worst way of getting around when it comes to personal exposure to pollution levels (motorbikes cop it the worst). In case you’re curious, the modes of travel that scored the best were subway (underground railroad), walking, and biking on a cycle track out of the main stream of the traffic (above-ground trains, buses and biking on the road were in the middle). However, many of these studies found that how you set your car’s air conditioning, windows and the like has an effect on how much yuck you breathe in. So what do you do if you don’t really want to give up your car? Apparently, the best way to minimise pollution inside the cabin of your car is to have the air conditioning on (or the climate control) and to have the windows up. The second best option is to have the windows open. The worst option is to have the windows closed and the air vents open. As far as I can tell, the research on air pollution inside car cabins didn’t look at convertible vehicles or vehicles with sunroofs – they tend to stick with “typical” cars and use things like Toyota Corolla sedans. Common sense would suggest that opening the hood of a convertible would improve conditions and make riding in a car more like riding a bike on-road, at least pollution-wise (now, there’s a good reason, if you needed one, for buying a convertible! ), and that opening the sunroof as well as the windows, assuming that it’s not raining, would do you good. Apart from using the air conditioning and opening the windows, what’s a driver to do? Switch to an electric car, as these don’t produce as many nasties when going slowly. 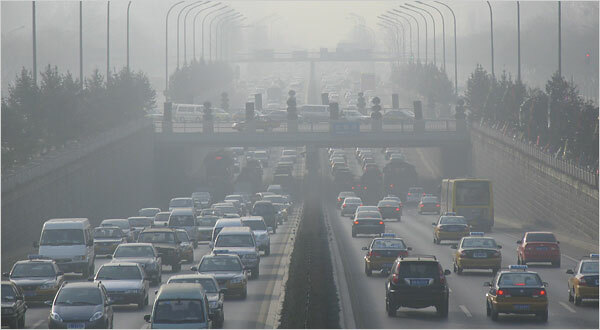 The fewer vehicles there are producing noxious gases on the roads, the better off we’ll all be. Also, many of the gases that get into a car’s interior are produced by that car. Make sure your car is well serviced. Cars that have engine problems or that have been neglected tend to pump a bit more awful stuff into the cabin. Go for diesel. Modern diesel engines are fitted with those particulate filters to reduce the amount of ick getting into the air. Of course, if you’ve been smoking in the car, your personal exposure to air pollution will be much higher, and a lot of that smoke will linger in the car to be breathed in later. You’ve heard it before: QUIT SMOKING. Even if you take the subway to work. Electricity and Peugeot make Serious Grunt. Electric cars are somewhat of a novelty on our roads, and yet they are likely to become more and more common as people become aware of their value. No emissions, for a start. And it’s not very hard to plug in a cord at home or a commercial outlet in order for you to charge up your electric powered mode of transport. But how sporty can you get with an electric motor? And just how feasible is an electric motor for generating serious grunt? I mean there are some of us that may well be addicted to the electric motor’s smellier and noisier cousins. Surely an electric powered motor vehicle couldn’t match a petrol or diesel-donk. Could it? Recently, Peugeot’s latest EX1 gob-smacked the latest Paris motor show. Read on, and you’ll find out why. Silencing any critic who might suggest an electric motorcar is as slow as a wet week might not be an easy task. However, it could well be made easier when discovering that Peugeot has created a new meaning for ‘plug-in power’ with its EX1 sports car prototype! Made from carbon/honeycomb composite to optimise weight and rigidity, the very sleek looking Peugeot EX1 has a low centre of gravity and a suspension set-up that ensures a very high level of road holding. 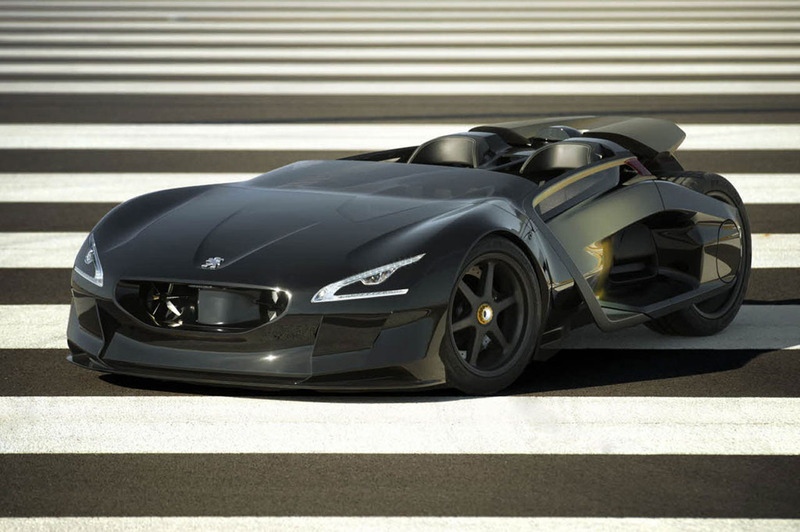 Particularly from the front, the EX1 looks very sporty, even a little aggressive and reminiscent of a bat mobile. What slings this little rocket along is the two electric motors that produce 125 kW each. Effective straight away is the twist of 240 Nm of torque at the front and the rear axles – which not only provides an ideal weight distribution, but also unbeatable all-wheel-drive traction. Being just a two seater, one would think that the EX1 might be a little light in an accident. It may well be, however Peugeot note that the little high speed roadster incorporates a specially designed passenger cell, which has sufficient overhead clearance to include a roll-over protection bar. They also state that you can drive this daily to work with out a helmet. The Peugeot’s futuristic looks are exemplified by the way the driver and passenger climb into their seats through reverse-opening doors. An awesome go-kart like experience is promised when both occupants sit virtually at road level. Two joy sticks control the car’s steering. Unlike many other prototype vehicles, this is one prototype that is in full working order. And the Peugeot EX1 holds many world records – already. Standing-start acceleration is phenomenal in the EX1, and so in the class for vehicles under one tonne, the Peugeot EX1 holds the ⅛ mile, ¼ mile, 500 metres, ½ mile, 1 kilometre and mile world records. The very swift time of around 3.5 seconds from 0 – 60 mph (0 – 96 km/h) is in petrol supercar territory. Certainly, the Peugeot EX1 would suggest that electric cars are from dull. It’s amazing what the very first light bulb has turned into! Thomas Eddison would be extremely proud, I’m sure! Well, rest assured that all the experts at Austroads and all the consultants they contract for research are keeping busy dealing with all these problems and are always working to make sure that Australia – and New Zealand – has good roads. Congestion is viewed as a problem not just because it drives the average citizen nuts: all those cars sitting there going nowhere with their engines chugging are putting out a lot of pollution… unless they’re electric cars that are designed to use electricity rather than diesel or petrol in just this situation. Take a look at this pic. Rest assured, this is not in Autsralia, yet! It’s in China. Sometimes, the findings of all these experts may come as a bit of a surprise to the average driver. To take one example, I’m thinking of an intersection near my place. At the moment, it’s got a roundabout (with a single-lane circuit) that gets a lot of cars, trucks, pedestrians and cyclists going through it every day, plus a few buses. During the morning and evening rush “hours”, the traffic backs up for several hundred metres, and more than one driver looks at all the cyclists and pedestrians whizzing past them and wonders why on earth the local Powers That Be don’t put in a set of traffic lights instead. Well, the reason why they won’t put in traffic lights is probably for a very simple reason: sure, the traffic’s really bad during rush hour, but the rest of the time, there’s no problem. Traffic lights work all the time, so even if things go a bit more quickly during these busy periods with the lights installed, you’re going to end up with someone sitting at a red light waiting for ages with nothing on any of the other roads – another thing that really bugs drivers. So don’t stew next time you get stuck in a queue of snails – the experts are doing their best and it’s impossible to please everybody all of the time. 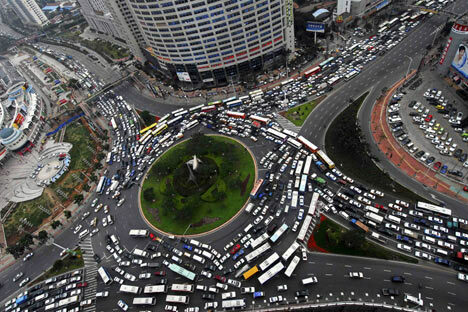 So what can you do to prevent the dreaded snail crawl and the frustration of sitting in a long queue of traffic? Sometimes, you just have to be patient and put up with it, frustrating as congestion may be, but at times, you can take action. How about the following? If your work situation allows it, change your travel time to avoid the busiest period. Depending on where you are, half an hour can make a huge difference between traffic going at a crawl and almost empty roads. Web cams on traffic websites (such as this one for Sydney) can help you plan when to go. Look for alternate routes, even if they go through a few more twists, turns and corners. It may be longer on the map, but you won’t take as long driving. You may need to switch off the GPS for this, depending on the type you have. Car pool to work or when taking kids to school. If fewer cars are using the road during rush hour, less congestion is likely. Look at other transport options – can you or your kids bike, bus or walk to your destination? If the traffic’s busy and the journey’s short, walking or biking can sometimes be quicker than using the car.